We have a series registration option where runners can sign up for 4 races for the price of 3 for the 5km and 10km! There are four dates in this year's 10km series and runners can register for one or more events over the summer. The course is flat, fast and great course for recording a Personal Best and seeing your improvements over the course of the summer. As well as being part of a great 10km series, the 10km events also form part of some Challenge series events which build runners up to their first half marathon or marathon events. Scroll down to the bottom of the page for more details. There is one 5km route, please scroll down for the route description. There are two 10km routes, know as Return Ticket and Hilly Tickets. The Return Ticket is the flat, fast, out and back course. The Hilly Ticket goes through the tunnels and then back over the top of them. More details below. The 5km and 'Return Ticket' 10km courses have been professionally measured by UK Athletics offiicals and are now certificed accurate courses to make all times official and to give you 100% confidence in this PB potential course! This route is an officially measured accurate route. The whole route is on a fast tarmaced surface with gentle gradients of no more than 2% in only a few places on the route. This makes this a great fast course, certainly the fastest Relish Running course out there and there is a great chance of recording a PB on this route! The official course measurement reference number is 236/2201. The 5km heads steadily uphill towards the 408m long Devonshire tunnel, passing by Bloomfield Open space on the left hand side. After rounding the first tunnel runners emerge out in the wooded Lyncombe Vale area. There is 1km of open running along the elevated embankment and through cuttings heading towards Combe Down Tunnel. The turn around for the 5km is just 25m before the entrance to the second tunnel. Runners then enjoy a slightly downhill run back to the finish. The whole route is on a fast tarmaced surface with gentle gradients of no more than 2% in only a few places on the route. This makes this a great fast course, certainly the fastest Relish Running course out there and there is a great chance of recording a PB on this route! The official course measurement reference number is 236/2201a. The 10km heads steadily uphill towards the 408m long Devonshire tunnel.After rounding the first tunnel runners emerge out in the wooded Lyncombe Vale area. There is 1km of open running along the elevated embankment and through cuttings before entering Combe Down tunnel. Combe Down Tunnel is over 1 mile in length! The Hilly Two Tunnels 10km is a stand alone event which also forms part of the Beast of Bath Challenge series. Scroll down to the bottom of the page for more details. 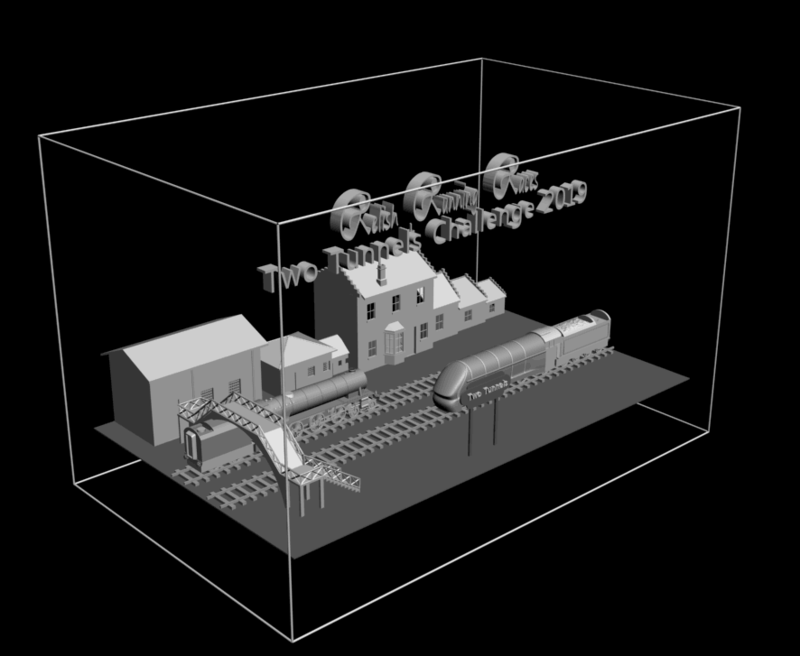 The first mile of the 10km is on a slight upwards gradient towards the first of the tunnels, the 408m long Devonshire Tunnel. After rounding the first tunnel runners emerge out in the wooded Lyncombe Vale area. There is 1km of open running along the elevated embankment and through cuttings before entering Combe Down tunnel. 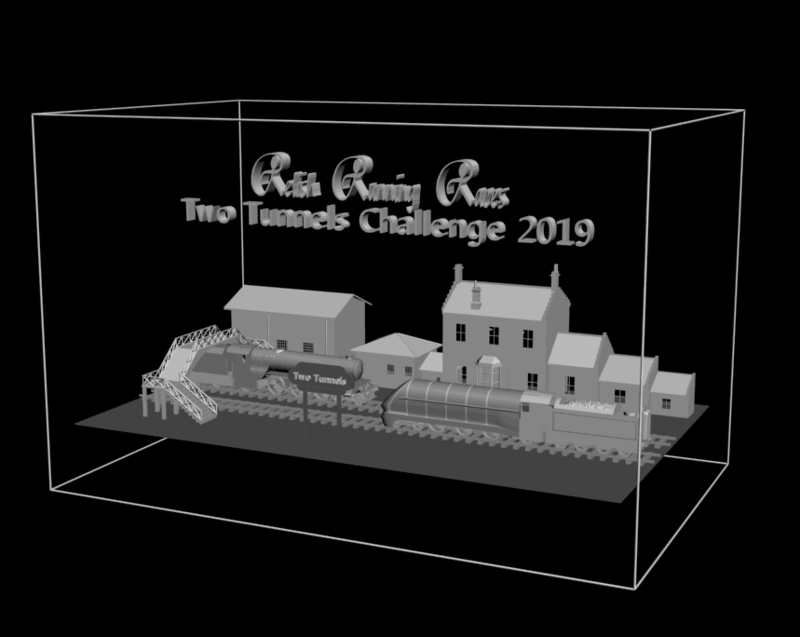 Combe Down Tunnel is over 1 mile in length and that makes this event the running race with the longest tunneled section in the Britain. About 400m after the Combe Down Tunnel you will come to the first drinks station on Tucking Mill Reservoir. Immediately after the drinks station you need to turn left off the Two Tunnels path and follow the steps down to the base of the viaduct and pick up the footpath along Horsecombe Brook. A short and sharp flight of steps signals the start of the climb up and over the top of Combe Down Tunnel. The ascent is along woodland trails, steep at the start and top of the climb and not too bad in the middle but it will certainly become apparent why the trains had to go under the hill rather than up and over it! At the top of the hill runners will pick up Shepherd's Walk before emerging in the residential street Horsecombe Grove. Runners will then head up to Bradford Road where they need to complete a short out and back section to the zebra crossing. This crossing is used for your safety. Any runners caught cutting the course at this point will be disqualified. Stick to the grass verge as you run along the Foxhill road and start your descent down the other side of Combe Down hill. Runners are now descending down into Lyncombe Vale (the are between the Two Tunnels) and will loop first over and then under the Two Tunnels path to rejoin it heading West towards the Devonshire Tunnel. Runners then retrace their steps along Linear Park before coming back into Brickfields and the finish line ahead. 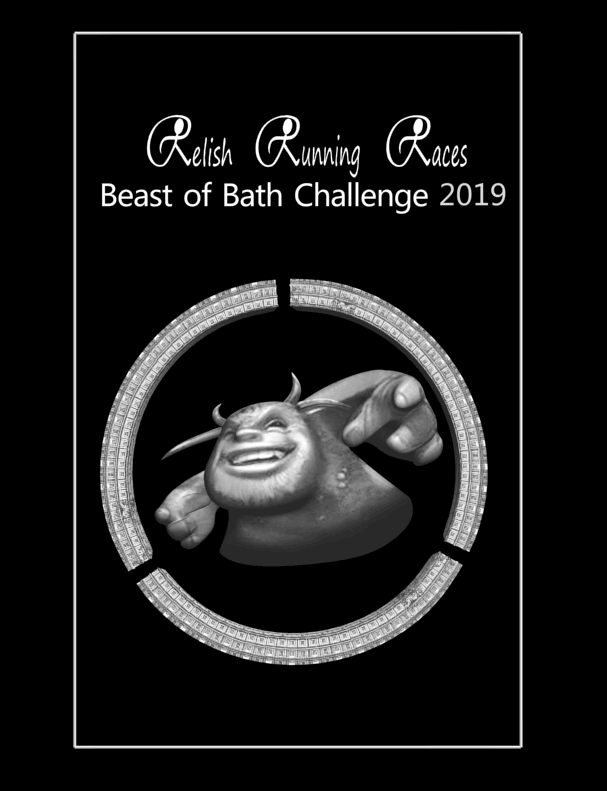 The 5km and 10km races also form part of the Two Tunnels Challenge and Beast of Bath Challenge series events. All runners who complete the Mini Challenge or Challenge will be awarded with a special trophy to mark their achievement, as well as the three medals from the three individual events.